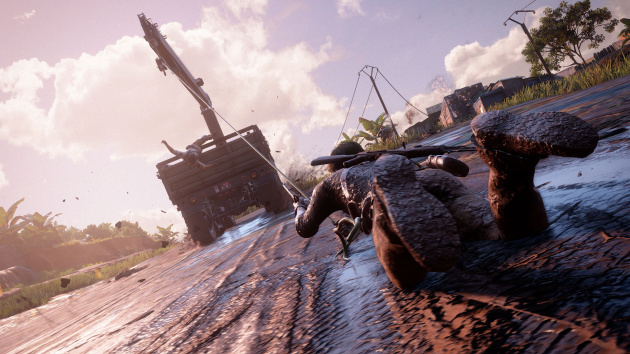 Uncharted 4: A Thief's End will not redefine the gaming landscape like its predecessors, but Drake's latest adventure is undoubtedly his greatest yet. 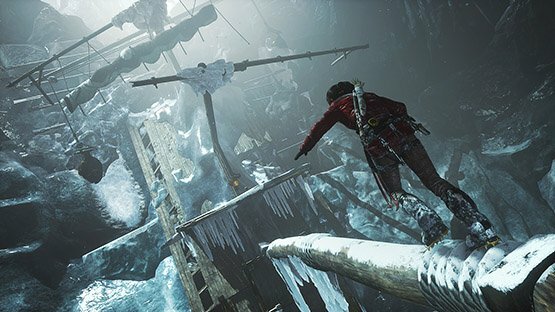 With this PlayStation 4 exclusive voyage, Naughty Dog has once again raised the bar for what's possible in the cinematic action game space. And while, in its fourth instalment, Nate's globe-trotting trip will struggle to surprise those who've grown weary of the Californian studio's set-piece laden stories, it's still a significant cut above practically every other narrative driven experience on the market. That's not immediately obvious, however. A Thief's End takes a little while to get started, with the opening exchanges extended in order to lay the groundwork for Sam – the protagonist's long-lost brother, who's never been mentioned in previous editions. 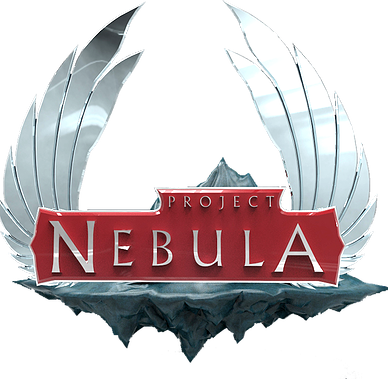 The developer stops short of retconning the story, but by squeezing the secret sibling into the existing property's plot, you do have to suspend your disbelief; it does a very good job of ensuring that the main character's silence makes sense, but as with anything, intense scrutiny will leave you questioning a few things. Mute your ponderous personality, though, and you'll come to the conclusion that the older Drake is an excellent addition. We learn more about Nate's upbringing in this 15 or so hour campaign than all of the three previous titles combined, and the complexity of his relationships with Sam, Sully, and, crucially, Elena form the backbone for a fiction that's both grounded and relatable. This, juxtaposed against a backdrop of pirates and untold riches, results in a real page turner-type pulp plot, where you'll be desperate to uncover the next twist. Uncharted's always injected fiction into fact, but its spin on Henry Avery's long-lost Libertalia is the series' best historical backdrop yet. The title is practically brimming with sub-plots, many of which are discreetly inserted into the adventure through the use of Ish-esque collectibles. Again, the developer's not inventing new ground, but it's simply doing what it does best; the same is true of a flashback sequence which has all of the playfulness and exploratory interactivity of the Hallowe'en shop section from The Last of Us: Left Behind. But while the pacing slows to a crawl in places, it's an expertly assembled game – said lulls typically follow moments of intense action. 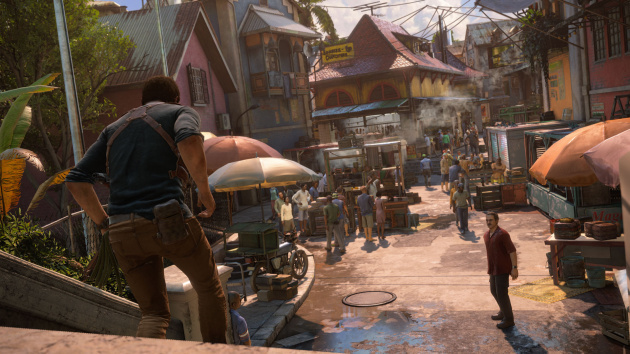 Rather than upping the ante following the theatrics of Uncharted 3: Drake's Deception, the studio's instead opted for set-pieces that are a little more personal. That doesn't mean that they're any less spectacular – you've probably all seen the bike chase scene by now – but they serve a greater purpose; the narrative hasn't simply been written around technical feats that the firm wants to achieve. 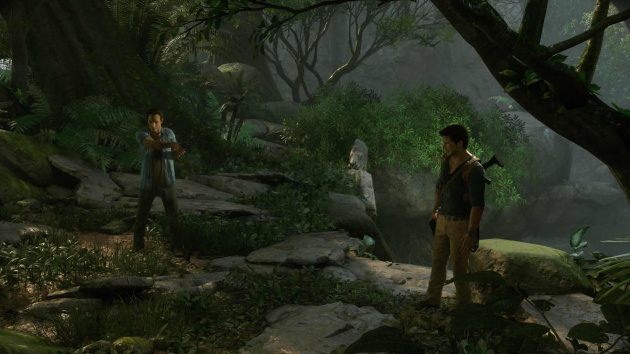 And for that reason, this is the most consistent and cohesive Uncharted since Among Thieves – an impressive achievement considering just how much ground it covers. As is the case with past entries, you'll be spanning the globe, and while we won't outline any of the locations by name for fear of spoiling things, rest assured that the variety of environments is impressive. 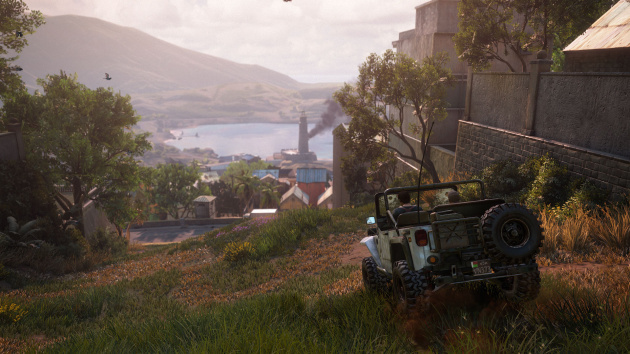 These levels are also much bigger than they've ever been before: you can traipse off the beaten path with regularity, and the introduction of vehicles gives you much more freedom to explore. It's not an open world game by any stretch, but hidden journals and optional conversations are littered around these wider locales, giving you incentive to comb every last inch of the meticulously detailed play spaces. This all means that exploration is emphasised ahead of action, and while that may prove divisive among those looking for combat above character development, it does mean that the shootouts feel distinctly more meaningful when they eventually arrive. In fact, unlike in older games where you'll be dreading wave after wave of antagonists, you'll be looking forward to the gunfights here. That's mostly because they're lightyears ahead of previous games. The sound design has been completely overhauled, so that firearms crack rather than parp, while action bowls have been given The Last of Us treatment, enabling you to approach with a mixture of tactics in mind. Tall grass, for example, allows you to approach in stealth, while the newly added grappling hook enables you to traverse play spaces with speed. Limited ammunition and destructible cover encourages you to keep moving, and the excellent controls ensure that every encounter is as satisfying as the last. The only real downside is the inclusion of the ultimate Naughty Dog cliché: armoured enemies. While there are far fewer bullet sponges present over the course of the campaign than in previous entries, the studio's unable to resist the temptation of throwing in a few, and it's still frustrating liberally tossing grenades at the feet of a mailed merc only to watch him walk away unscathed. These eye-rolls, alongside constantly collapsing contraptions and platform pushing puzzles, do endorse the developer's decision to leave the franchise on a high – it can't re-use some of these mechanics again. That said, the aforementioned grappling hook and the ever-presence of companion characters genuinely do revamp the environment traversal – the scripting achievements are nothing short of sublime. Factor the vehicles into the mix and you end up with some really enjoyable navigation; it's never challenging, but the title's constantly finding new ways to make you question how to reach the next ledge. 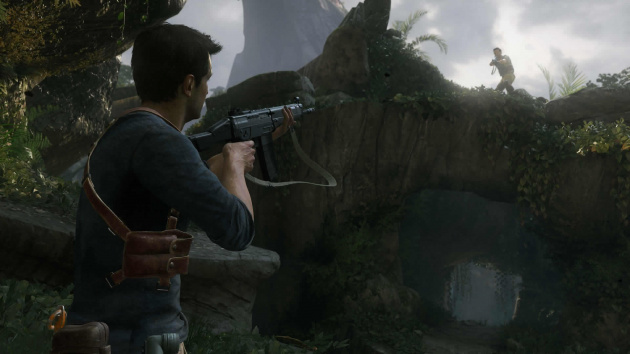 The conundrums, too – which have been hit or miss in previous Uncharted games – are much better here; they're taxing enough to provide a sense of achievement, but also entertaining to solve. And we probably should spare a paragraph for the presentation, which is quite simply jaw-dropping from start to finish. 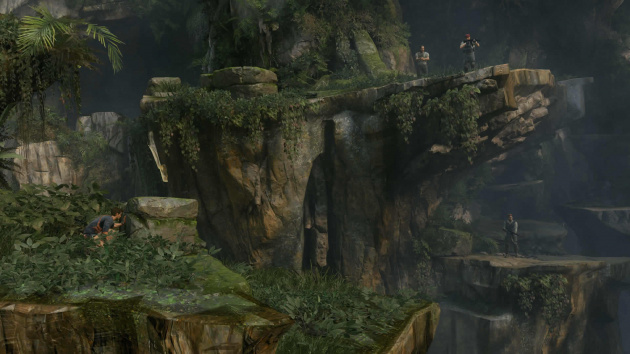 The larger environments are no less densely detailed, and the vistas are among the best that we've ever seen on a console. But it's the art direction that outdoes itself: every environment feels as distinct and important as the last, and even when you're spending the final few hours in the same general area, the studio uses subtle lighting tweaks and weather to change the colour grading and create different moods. The multiplayer's the icing on the top of this intricately baked cake, and while we'll be breaking out our online impressions in a later post, we will say that we like what we've played. 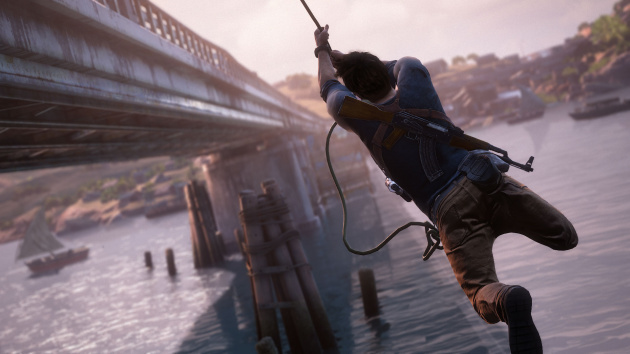 The absence of co-op will be a major source of disappointment for many, but Naughty Dog's already confirmed that it's coming later in the year. You'll have to make do with the competitive suite for now, then, which is thin in terms of modes, but well assembled. 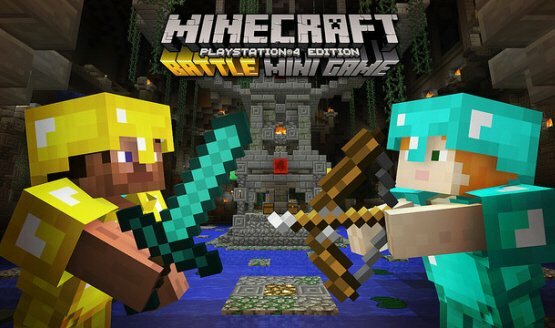 Running at 60 frames-per-second, the core shooting feels even slicker than the single player campaign, and the addition of the grappling hook alongside chargeable melee attacks bring something a little different to the suite. It's the in-game unlocks that are the real unique selling point here, though; cash can be accrued for completing objectives in-game, and then invested into computer-controlled companions who will support you or Mysticals. These MacGuffin special moves can turn the tide of battle when used appropriately, but are obviously expensive to unlock and need to be in the right hands. It's a dense set of systems, with bot-based Trials designed to help you get your head around them all. The modes are no less complex either: Team Deathmatch is self-explanatory, but there's a ranked alternative which sees you moving through leagues; the Capture the Flag-inspired Plunder will need no introduction, while Command – a twist on Chain Link which puts a bounty on the head of the MVP – may take a little more time to understand. All of this is buoyed by a rich roster of unlockables – from weapon mods through to cosmetic items – to keep things feeling fresh. The downside for some will be the implementation of microtransactions: chests can be purchased using an in-game currency called Relics, but you'll only ever unlock random items with these – if you want something specific, you'll need to buy Uncharted Points from the PlayStation Store. The advantage, of course, is that all future updates and map packs will be available for free, which is always a good thing. 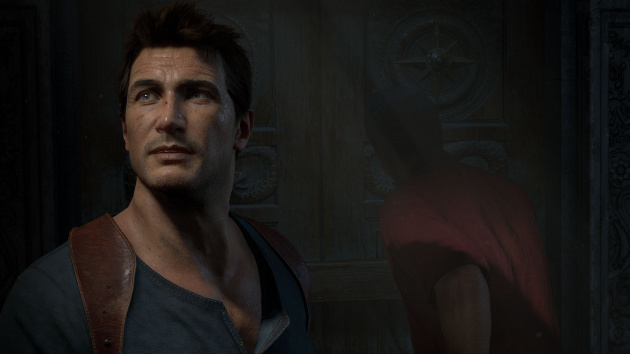 A fitting end for one of PlayStation's most famous franchises, Uncharted 4: A Thief's End sits alongside The Last of Us at the apex of cinematic action experiences. Naughty Dog's ability to tell engaging tales is unmatched, with Nate's final chapter expertly balancing bombast against genuinely relatable themes. It won't redefine the genre quite like Uncharted 2, but the developer's boundless ambition means that this is a bigger, better, and more beautiful adventure than ever before.